HomeBreedsVictorian Bulldog: Is This The Best Bulldog? Although a Victorian Bulldog is known to be slobbery, don’t let a little bit of drooling put you off! These loveable lumps are kind, gentle and will be the heart and soul of your house. A continual ray of sunshine in your life, these low maintenance dogs will bring light to your day. If you are looking for a guard dog, they do not bark much, but, their stocky build and grumpy face may put off anyone looking in. Their natural frown is the exact opposite of the truth when it comes to these dogs. They are some of the happiest pups you will ever meet and love to go to new places and meet new people. Where Did Victorian Bulldogs Come From? Can A Victorian Bulldog Be A Family Dog? How Much Do Victorian Bulldogs Cost? The Victorian Bulldog is the pinnacle of the “resurrection breeding” movement (i.e. breeding back a lost ancestor), where a breeder resurrects a breed that no longer exists. 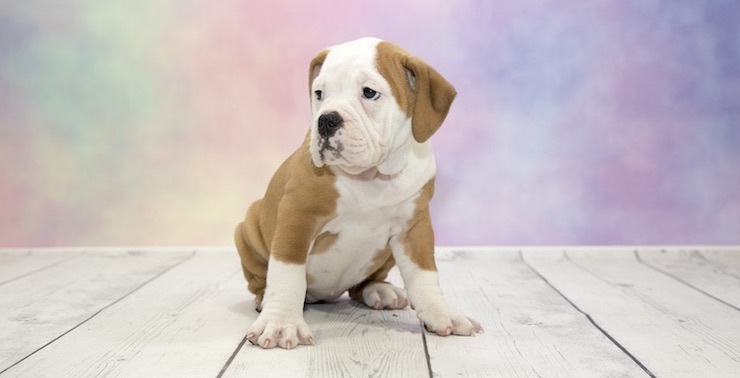 In 1985, breeder Kenn Mollett started a programme to recreate this breed which was lost to time; it’s thought the original bulldog was lost somewhere during the Edwardian period in the early 20th century. Using carefully selected bull breeds, like the English Bulldog and Staffordshire Bull Terrier, Mollett used dogs exclusively registered to the UK Kennel Club and was able to recreate a dog that was thought to be gone forever. This bullbreed, despite only being in existence now for 30 years, is a kind and affectionate dog, known for their gentle and devoted nature and is recognized by the American Canine Association. These pooches, are in most aspects, like the Old English Bulldog being a strongly built, medium sized and muscular dog, with a wide face and snout. The difference between the two Bulldogs is the that the Victorian is larger in size, but lighter in weight, and has a longer face compared to their English cousins are stockier. They are a medium sized dog, with males weighing between 65 to 75 lbs and the females weighing from 55 to 65 lbs. Typically, they stand between 16 to 19 inches with little difference between the sexes, slightly taller than the 12 – 15″ for their English cousin. These dogs have solid white, red, brindle or fawn coats. There are instances of bi coloured Bulldogs, but, these dogs are much rarer and deviate from the breed standard. This dog’s coat is short and smooth, similar to the coat that you would see on a traditional bulldog. These dogs look stoic and grumpy, however, this couldn’t be further from the truth. They are a kind and loving dog with a have a soft gentle nature. Their affectionate nature means they require lots of attention and will love to cuddle up with you on the couch and have some belly scratches. They are drawn to people and enjoy being the life and soul of your house with their funny nature. 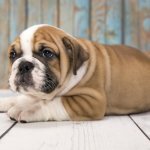 Victorian Bulldog puppies are playful and rambunctious, but mellow out quickly into calm, content adults. They are more than content to play with anyone if encouraged, but, they are also more than happy to just be by your side. These dogs are not huge barkers, so you shouldn’t expect much noise from them, however, once they start barking it is very difficult to get them to stop. Beyond this, they don’t make a lot of noise, except for their snoring! This dog can be rather lazy, and would love nothing more than to spend his day eating and sleeping. Getting your dog up and going can be a challenge, but once up, they have an incredible zest for life that will make every walk an adventure. With people, Victorian Bulldogs can be very social dogs, and love to meet new people. However, caution should be taken with unfamiliar dogs or other animals, as they have been known to react negatively to unfamiliar pets. With good socialisation from a young age, these dogs can make wonderful family pets. These dogs do very well in family environments, as they are fantastic with young children and will fit right in with your family. 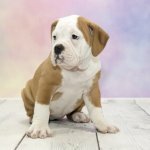 Their stocky build is deceptive, they do well in smaller spaces and are also suited for apartment life, and do not need a lot of yard space to run and play in due to their lazy temperament. Athough this dog is renowned for its patience, and generally will be more than happy to let children climb all over them, it will still have a breaking point. If you plan to regularly have your pooch around young children, be sure to teach your them boundaries and how to treat the dog with care and respect. These dogs are very intelligent animals and because of their temperament respond very well to basic obedience training. Being a bull breed, most people think that dominance training is the way forwards with these dogs. However, the exact opposite is true. 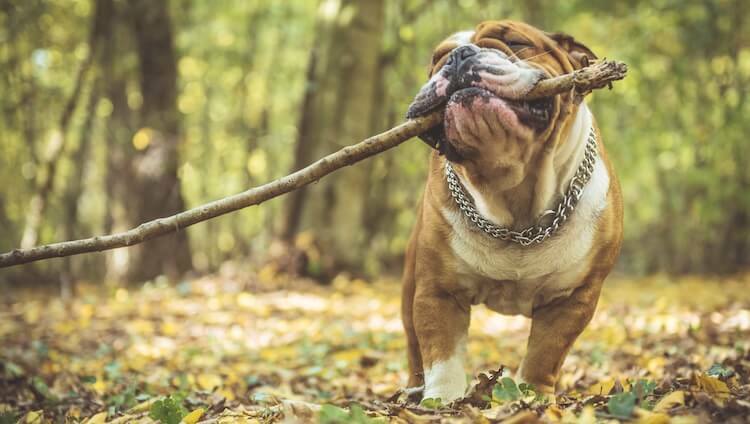 Due to their loving and loyal temperament, Victorian Bulldogs do not respond well to any form of dominance or force-based training and should only be trained with positing reinforcement. This breed responds very well to clicker training – as a form of positive reinforcement. This may be something you want to try with your pooch. Positive reinforcement will go a long way to training a well-rounded dog. 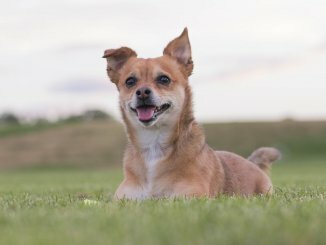 These dogs love to please, therefore training your dog, with a food-based reward, will help to make training more encouraging for them given their sometimes stubborn nature. Bulldogs are quite intolerant to heat, and although Victorian Bulldogs fair better than their flatter-face cousins, they are still susceptible to overheating. Be sure to be aware of the temperature and try to keep time spent outside and play to a minimum on hotter days. As a medium size dog, they require only 40 minutes of exercise daily – not like the 100 minutes required by Husky Lab Mixes! This can be split into two walks a day and spread out over morning and evening. 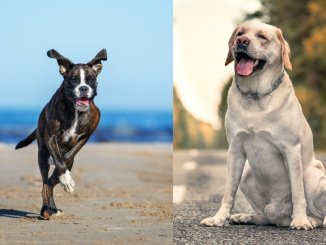 These dogs are not huge fans of exercise, so don’t expect them to make a great running partner anytime soon. Some sort of exercise is required; be it a walk or yard play, as getting them active every day is extremely beneficial for you and their health and wellbeing. Yard play may also be beneficial for this dog. Old English Bulldogs love to play tug of war and these guys are no different. 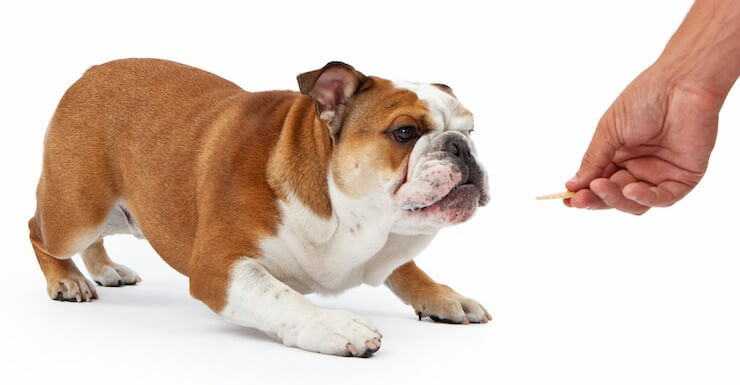 Any toy that you give a bulldog should be durable, as these dogs love to chew. Try enticing your dog with a tug rope to engage those muscles and encourage a full body work out. However, bulldogs are stronger than you might think so don’t be surprised if you find yourself being dragged across the floor! These dogs are average shedders, shedding lightly throughout the year and heavily twice a year with the seasons. They will need light grooming with a fine bristled comb. This pooch is not a fan of water and so you may only wish to bathe him when necessary. When bathing, it is important to make sure you run a damp cloth under all their folds of skin and properly dry those areas too. When grooming, it is also beneficial to clean their ears and eyes to prevent infection. You may also want to brush their teeth to account for their doggie breath. Like most Bulldogs, this dog does very well on a raw diet too. To feed your dog a raw diet requires a basic understanding of nutrition, and therefore is not suitable for inexperienced owners. It may be an idea to consult a raw feeding company or you veterinarian for advice if you wish to feed your dog this way. If you are reluctant to feed raw to your dog, they this breed will do well on a diet of dry pet food (i.e. kibble). If you wish to feed dry food, choose a high-quality grain free dog food is your best option. A good compromise is to feed your dog one raw meal and one of dry food, as this captures all the potential dietary benefits. Dry food does wonders for your dog’s teeth as it cleans them and removes plaque, whereas raw feeding ensures a high level of protein in your dog’s diet which will help improve body and coat condition. Whatever you feed your dog, spreading the meal into two portions is a good idea to reduce the risk of bloat. 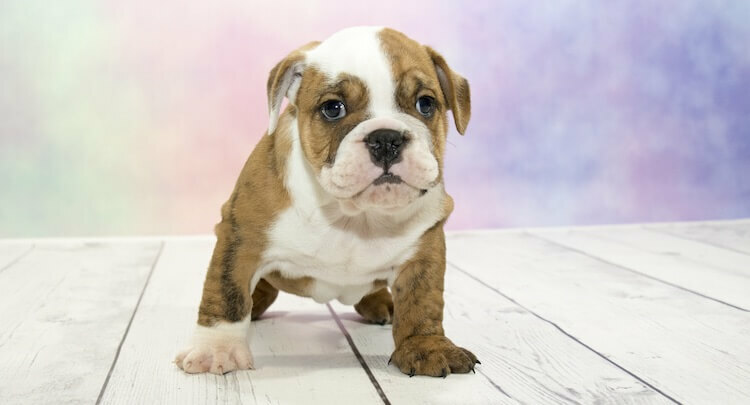 Due to the careful breeding, these dogs have no genetic diseases associated with them, and therefore most Victorian Bulldogs live long, happy and healthy life. Obesity can cause many problems from your dog, including joint problems such as Hip and Elbow Dysplasia and breathing issues. Getting your dog up and going will be key to combatting this, as well as carefully managing their diet to make sure you are not overfeeding. If you are concerned about your dog’s weight, consult your veterinarian for tailored advice. How Long Do Victorian Bulldogs Live For? These dogs live for 10 to 12 years on average. However, as these dogs are much healthier than their English Cousins, they are known to live well beyond their life expectancy, living as old as 15 years of age. 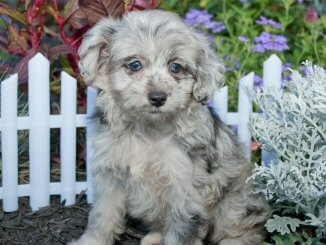 When purchasing this dog, if you are looking for a pedigree, it is important to make sure that you are purchasing one. You should ask for the dog’s pedigree certificate to ensure it is in fact a Victorian Bulldog. 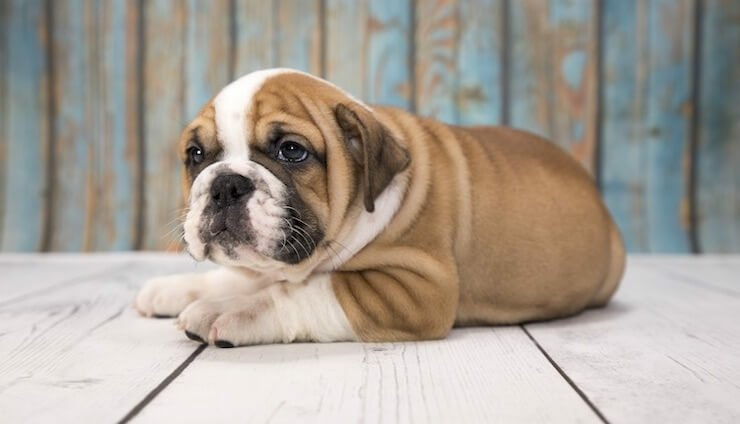 On occasion second or third generation bulldog crossbreed puppies are mislabelled as Victorian Bulldogs, as some breeders are not aware of the difference. You should also try to investigate the lineage of your bulldog, as some are not of the original Mollett dog, especially in the United States. As these dogs are of English origin, they are rather rare in America and therefore you may struggle to find one. Litter sizes tend to be between 3 to 5 puppies, making them a difficult find, but ultimately worth the wait! 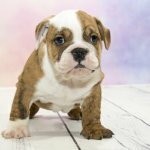 Due to their rarity, Victorian Bulldog puppies come with a hefty price tag and therefore tend to sell for between $1,500 and $3,000 USD. However, depending on where you are and the breeder you buy from, puppies can sell for up to $5,000 USD. If you would prefer to adopt a bulldog, the Bullies in Need charity rehomes them, so you may benefit from searching for dogs in your area. If you are looking for a friendly dog, suitable for most walks of life, then this could be the dog you’re looking for. Perfectly suited for families, this dog does well in smaller spaces and would do nicely in a small family home. They do not require much exercise so they may also be suitable for a retiree looking for a canine companion. However, we do not recommend this dog if you live in a particularly hot area as they have a tendency to overheat, or if you are away from the house for extended periods as their affectionate nature requires lots of attention.